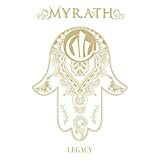 MYRATH(which means Legacy) was formed in early 2001 under the name of XTAZY by guitarist Malek Ben Arbia (who was just 13 years old at the time) with two of his childhood friends,Fahmi Chakroun (drums)and Oualid Issaoui (guitar).The line up was shortly after completed by Zaher Ben Hamoudia (bass) andTarek Idouani (vocals). For the first two years MYRATH played cover songs of blues ,heavy metal and death metal bands. In 2003 Elyes Bouchoucha (keyboards and vocals),who just graduated from Tunis conservatory joined the band as replacements of Tarek Idouani while Oualid Issaoui (guitar) quit the band. With this new line up MYRATH got into progressive metal and for almost 2 years they played in several concerts exclusively cover songs of SYMPHONY X which has become their favorite band at that time (and still is). In the summer of 2004 Fahmi Chakroun (drums) and Zaher Hamoudia ( Bass) were replaced respectively by Saif Ouhibi and Yassine Belgith in an effort to get musicians fully dedicated to the band With this new line up MYRATH released their first self produced album ''Double Face '' in March 2005. Even though it was a first recording experience, this album (which was released in Tunisia only as the band was not signed yet) did however show encouraging signs of composing skills. In September 2005 Malek Ben Arbia the band founding member and guitarist traveled to Nancy -France to enroll in the famous Guitar school, Music cademy International (M.A.I.) so as to improve his knowledge in music theory and improve and diversify his playing skills. On March 24th 2006 Myrath opened for ADAGIO and ROBERT PLANT in the 3rd edition of the Mediterranean guitar festival which gave them the opportunity to meet Adagio band members and mainly their keyboard player Kevin Codfert who happened to be also a sound engineer and a producer. After graduating from M.A.I. guitarist Malek Ben Arbia returned to Tunisia in late July 2007 with the firm intention to pursue an international music career with MYRATH. To this respect experienced bass player Anis Jouini joined the band in September 2006 in replacement of Zaher Hamoudi...MYRATH(which means Legacy) was formed in early 2001 under the name of XTAZY by guitarist Malek Ben Arbia (who was just 13 years old at the time) with two of his childhood friends,Fahmi Chakroun (drums)and Oualid Issaoui (guitar).The line up was shortly after completed by Zaher Ben Hamoudia (bass) andTarek Idouani (vocals). After graduating from M.A.I. guitarist Malek Ben Arbia returned to Tunisia in late July 2007 with the firm intention to pursue an international music career with MYRATH. To this respect experienced bass player Anis Jouini joined the band in September 2006 in replacement of Zaher Hamoudia (who replaced for a short period of time Yassine Belgith).With a line up now consisting of 4 skilled musicians fully dedicated to the band and sharing the same ambition of success, MYRATH spent about 3 months writing new songs for the second album. 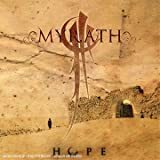 In December 2006 they recorded the album "Hope" with Kevin Codfert as sound engineer and producer.This new album was a turning point in MYRATH carrier as thanks to Kevin valuable assistance, and superb work, the band was signed by the French label Brennus Music who released "Hope" in September 2007. In June 2007 Zaher Zorgati,considered by many as the best Metal singer in Tunisia joined Myrath as lead vocals and has made his debut concert in the "Rock à Radés Festival" on 10 August 2007. MYRATH play original,inventive heavy metal that mixes a variety of different cultural influences and is highly recommended. Review #25. Believe it or not, this is one of the best heavy albums that has been released this year. Well, so far at least. A solid, powerful and well-structured album, including great Heavy Metal riffs and tunes. For those who aren't familiar with Myrath and their music, I should say that they are a Tunisian Progressive Metal band, and their discography consists of 4 studio albums so far. What makes them special and different, is that they are playing Progressive Metal enriched with many elements from Tunisia's traditional music. Their songs are mostly in English, but there are some exceptions in which they sing in their own language. Although Progressive Metal was never my cup of tea, I should say that I really enjoy Myrath's music a lot. I have all their albums, which are almost equally good, with 'Tales of the Sand' (2011) being my favorite one. The album begins with an (unnecessary in my opinion) intro, followed by the Anatolian influenced powerful riffs of 'Believer'. Next comes 'Get your Freedom Back' which is one of the album's best tracks (always in my opinion). Killer guitar riffs, fast pace, and excellent vocal skills by Zaher Zorgatti, the band's singer. 'Get Your Freedom Back' is followed by 'Nobody Lives' which although is a good song, the lyrics are mostly in Tunisian, so many people might find it difficult and unpleasant to listen to. But it includes many nice changes and beautiful guitar. 'The Needle' that comes next, is another powerful guitar-driven song, with many changes, nice guitar riffs and a "catchy" refrain. I am not going to mention each song separately here, because there is no reason to do so. All the songs are good ones, and each person will pick his/her favorite songs according to his/her music taste. But just for the record, I will mention my favorite songs, which are: Get your Freedom Back, The Needle, Through Your Eyes, I Want to Die and Endure the Silence. A very important element in Myrath's music is without a doubt the band's excellent singer, who is raising the band at a higher level with his performance, and his very good use of English. The album includes 11 songs, and has a running time of almost 50 minutes in total. Highly recommended to the fans of Progressive Metal music, and to all those who can appreciate a "different" album, musically speaking. My Rating would be 3.5 stars. 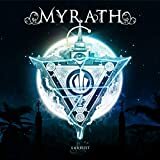 As kismet would have it, the fourth album by Tunisian progressive folk metal band MYRATH actually translates the band's name into English, thus making a sort of multi-lingual eponymous album title. Clever. It's been five long years that the band has been hiding in Aladdin's lamp only hinting of releasing their album but here in 2016 they have at long last after years of gaining recognition as the world's most sought after melodic progressive Middle Eastern metal band that they let the genie out of the bottle and the ensuing puff of smoke has had time to permeate the eardrums of rabid hungry fans worldwide. Personally i have been one of those eager hungry fans as i have a huge appetite for all sorts of world ethnic music with Middle Eastern types such as bellydance, raï and klezmer leading the pack. Accompany these attributes with some metal guitar turned up to eleven with raucous guitar distortion, sizzling solos and frenetic percussion and you got me hooked. The first three albums by MYRATH are amazingly catchy and i find them to be recurring listens in my world. MYRATH has had the unsavory duty of being a spokesband of sort to represent an entire culture within a fairly Euro-centric style of rock genre, namely heavy metal which despite the universe it has spawned still has some rather rigid limitations on any newbies on the block coveting a fast pass into the club. Well, MYRATH more than proved themselves on their first two albums channeling their inner Symphony X and ushering an arranged marriage with the ethnic musical wonders of their North African environs, a comparison that they have successfully shed. While LEGACY adheres to the stylistic fusionfest of previous releases, there has been a major shift in direction on this album. While the first two albums were much more into progressive metal territory, the band began to tame things down a bit on "Tales Of The Sands" creating a more lushly symphonic metal production and LEGACY not only follows in the footsteps of the previous album but takes these ideals even further. The progressive tendencies have been put on a leash, the symphonic touches have been given magic elixirs as to elevate themselves higher than the pyramids in neighboring Egypt. 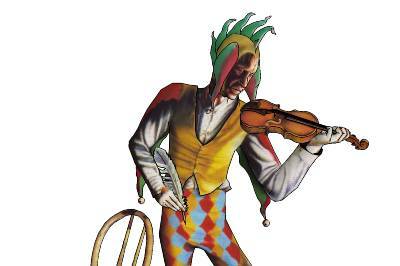 The production has been given the proper steroids to make every little violin lick dance like a coiling serpent on sand dunes around the seemingly alternative metal scaffolding of the song structures. After my initial spin i was totally disappointed in this album for this went in a most commercial direction and into territory that i'm not biggest fan of. 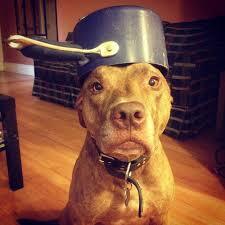 After quite a few listens now i have come around somewhat. MYRATH first and foremost are masters of melodic developments and in that department they do not let me down in the slightest. If taken for what it is and not compared to previous albums this is a really decent mix of Arabic folk songs dancing on a little doumbek a the local hafla where a metal band just happened to join the party. Once again MYRATH do indeed seamlessly meld the two worlds into a cohesive whole however this time around the metal aspects are sedated while the folk elements are highly symphonically embellished. 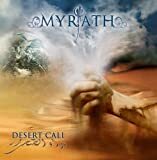 After all is said and done and a plethora of listens to bring me to some sort of conclusion i can only finally assert that this is my least favorite MYRATH album yet i find this very seductive like a mirage of a sand castle on a camel ride through the Sahara. There is no doubt that the musicianship and vocal performances by Zaher Zorgatti are of the utmost quality. The production is off-the-hook beautifully perfect and the symphonic elements are not in the least bit cheesy. The aggressive timbres flow into the subdued symphonics like magic and the river of melodic riptides expand into streams of musical developments like myriad minnows at the mouth of the Nile, however despite all the effort in the technical prowess on display here i just find there is too much emphasis on the ballads and crossover appeal. MYRATH is going for gold with this one hoping to expand their Tunisian tentacles into an ever expanding fan base. While that's all fine and dandy, there seems to be lacking a balance between these kinds of tracks and those of the past that really pack a punch. While i can't really say i dislike this album as it has really grown on me, i, at the same time, feel the album is missing some key elements that links it to their more energetic and passionate past. Definitely an album worth hearing but it gives me a sinking feeling that if they go any further down this direction they may just drop the metal aspects altogether and become good beach music for shish kabob parties in Malibu. Awesome metal from Tunisia. Accessible, bombastic, passionate, skillful, well-produced, this music will definitely get you pumped up! Constructed a bit like a Broadway show (it even opens with an overture-like instrumental), it has the plus of being totally energizing and very well polished. At times the performances get to feel as if they're a little SPINAL TAP-over-the-top--especially in the vocal department--but the many instances of Middle Eastern music inputs really add something to this awesome to this music--make it very engaging. The rock/metal foundations of the music (drums, guitars, vocal stylings) can get a little cliched in a 80s "hair band" kind of way. In fact, it's the orchestral-like keyboards and traditional Middle Eastern sounds and stylings that make this album as good as it is for me. Singer Zaher Zorgatti is uber-talented--singing in both the English language with its rock/metal traditions as well as in other languages (probably Arabian) with their vocal traditions' stylings. His lyrical pronunciation is impeccable and very much appreciated. If there is a weakness in the album it is probably in the unwavering high energy of the music. Even the gentler side of the band as expressed in songs like "Through Your Eyes" and "I Want to Die" (two of my favorite songs) are often so "big" and bombastic in their production as to be quite overwhelming. Listening through the entire album in one sitting is a taxing, draining experience; the constancy of their musical approach is a bit numbing and, eventually, disengaging. Plus, there is the afore-mentioned undeniable sound and style similarity to 80s hair bands like Guns'n'Roses, Skid Row, Mötley Crüe, Def Leppard, and Faith No More. Favorite songs: 6. "Through Your Eyes" (5:37) (10/10); 4. "Nobody's Lives" (5:43) (10/10); 8. "I Want To Die" (4:39) (9/10), and; 2. "Believer" (4:32) (9/10). A solid four star album that is interesting for the influence and input of Arabian sounds and stylings. I came late "into the game" of appreciating Myrath. Sure, they admit they were influenced by Symphony X, but so what? IMO, they take that style of prog metal to the next level with their Middle-Eastern influences. Not to mention, their musicianship on this third album is par excellence. While the lead guitarist is compared to Romeo of Symphony X, he certainly brings in his own Tunisian / Middle-Eastern elements that Romeo would not have a clue about. Some might say this is less of a prog album than their first two. The same could be said of Kansas of 'Leftoverture.' And yet, we have such prog classics on Leftoverture as 'Miracles Out of Nowhere' and 'Magnum Opus.' I feel Myrath has given us their "Leftoverture" album - and it rocks, big time! The lead vocalist is in fine voice, as are all the instrumentalists (sorry, I live in P.R. China, and cannot always access Google-based Wikis). There was a time about a year-and-a-half-ago where I listened to this album every 2-3 days. In the last 4 months, I have only just now begun listening to it again, as it is a "classic" - in its own definition of that term. The first album was good; the second album was great (and worth owning), but this third album is a must for any who are into Symphony X, Dream Theater, or - for that matter - Kansas. Get it and get a new experience in prog metal! 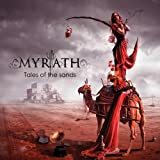 Review Myrath and the temptation to compare them to Symphony X is overwhelming, and this is particularly the case on their debut album. Playing down the influence of traditional Middle Eastern music on their sound a little in order to demonstrate that they can recapture the Symphony X power-progressive metal sound just as effectively as anyone, Hope might not be as strikingly original as later albums like Tales of the Sands, but it does demonstrate that even early on Myrath had a keen command of their chosen musical style. Yes, Symphony X listeners may find it very familiar, but I don't think it ever becomes outright derivative, with Myrath coming up with ingenious wrinkles to the Symphony X sound that the Symph-Xers themselves haven't cottoned to. It's just kind of a shame they don't put the more original aspects of their sound front and centre here like they do on later albums. The debut album from this band from Tunisia proved that in the brave new world, great bands can emerge from the nooks and crannies of previously unthinkable places where little attention had been paid to before. MYRATH not only emerged from an unexpected country with no history of prog nor metal but little history of any famous bands whatsoever. It's really great to finally hear this debut album after hearing their excellent third album TALES OF THE SANDS. There's no doubt that MYRATH are the Symphony X of the Sahara with some Dream Theater influences as well. At least the prog metal half of the equation. The Middle Eastern folk part which is what really sets them apart from the previously mentioned bands is woven into the tapestry of the music very well. The album begins with some exotic sounding North African music before the metal kicks in and the result is that I was instantly sucked into it. These guys really know how to craft well written and catchy tunes that leave you wanting more. A decent sophomore effort from this talented band from Tunisia. They succeed in not making a cookie cutter copy of their debut. I do think I prefer the debut slightly over this as the Middle Eastern fusion effects have been subdued here a bit as well as the prog metal having been revved up. At the same time, this sounds a little less derivative of Symphony X, so all in all it is pretty even for me. Not all of the songs are as catchy on this one but the ones that are can be extremely addictive with 'Shockwave' being at the top of the list. 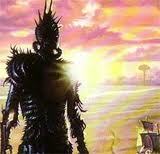 Something is lacking on this release for me to really love it like I do their follow-up to this, TALES OF THE SANDS. Overrall a very good second effort from this band showing the world that a great prog metal release from Africa is no flash in the pan. After hearing the next release it's obvious that they will push their sound even further and hone their musical sound into something even more interesting. Now THIS is some seriously good Middle Eastern / Metal fusion. I can't think of a more successful hijacking of a sound, meaning they sound like the Symphony X of the Sahara with their seriously delicious brand of prog metal blended perfectly with the Middle Eastern rhythms, scales and harmonies of their native Tunisia. The songs are seriously catchy, original, entertaining, melodic and powerful. This band is quite talented knowing just how to mix it up. They really have a knack for the prog metal element which puts newer long established acts to shame. Moments when they choose to drop the metal and just let the accompanying congas and female vocals shine in the light for a while are part of the compositional brilliance that this band delivers consistantly. Both guitar and keyboard solos are found that add virtuosic outbursts at times. Myrath play a style of prog metal inspired by Symphony X and mmmmaybe a little Dream Theater, but enrich this with influences from the music of their Tunisian homeland. Whereas some bands might slip in music from North Africa or the Middle East for flavour, Myrath are no tourists - these are musical traditions they know inside and out and they are able to truly integrate them into the structure of their songs rather than toss these cultural allusions in as an empty affectation. On top of that, their mastery of progressive metal is also laudable, throwing in just enough bombast to get their point across without getting tediously heavy-handed. On the whole, this is a mature album which will hopefully give a higher profile to this hard-working unit, though to be honest I find the prog metal influences they work in a little by-the-numbers and kind of hope that they will lean a bit more heavily on the other ingredients of their sound in future releases. In particular, if they can produce prog metal that is fully infused with traditional stylings, rather than simply existing alongside more traditional music, they'd have something amazing on their hands. I discovered this exotic band from Tunisia with a song from their second album last year on a sampler included in the normally pretty weak British Metal Hammer magazine but I forgot to check them out. With the release of their new third record, I remembered this talented band and decided to take my time and check their discography out. Obviously, I started with the band's first strike called "Hope". The five young men from Tunisia didn't disappoint me indeed and deliver a strong first record somewhere between progressive metal, power metal, thrash metal and some folk influences. The only negative thing I could see is that some instrumental sections are sometimes too long and pointless. I must also admit that the albums has a little down with the mediocre half ballad "Fade Away" and "All my Fears" that gets lost in overwhelming instrumental wankery. The rest of the album is of the grandest kind and in the end one of the most convincing progressive metal releases of the year 2007. A great introduction with a gracious folk mood leads perfectly to the true opener which is "Confession". 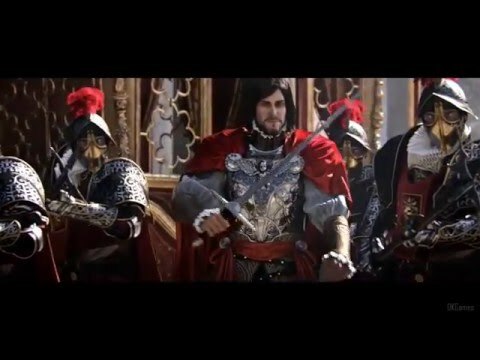 I must confess that this is an amazing opener that varies from a great thrash riff in the beginning to some power metal or even neoclassical metal and shred passages in the middle parts to a more and more elaborated progressive style with haunting melodies, some citations of the classic music genre and a couple of orchestral Maghreb folk influences. There are so many influences and details in this song that I could listen to it over and over again and still discover something new each time I do so. This is not just amazing, it is perfect because the song still sounds coherent and logical within a running time of six and a half minutes. The next songs are all amazing but not perfect. The only reason for this statement is that Myrath sometimes sound too much like their American influences Dream Theater or Symphony X. The title track "Hope" still convinces with some unusual riffs and a few exotic folk vibes but the middle part sounds too traditional. The epic "Seven Sins" has the same problem. If someone has told me that this was a song from some old Symphony X record of the nineties, I would have believed this without a doubt. Still, the song itself is great and features some amazing piano melodies. What I really like about the song is the fact that all instruments have an important role and get their time to shine. The amazing album closer "My Inner War" has the same approach but it pleases more to me because it sounds more coherent and focussed. An exceptional track might be "Last Breath" that convinces with stunning drum patterns and orchestral folk sounds with a fresh breath of thrashing heaviness. This track reminds me a little bit of "Acrassicauda" from Iraq and this track here could have been an excellent single choice. After all, this debut album is very promising and the band already has a perfect song on this album plus many great moments. The only thing I feel they need to improve is to find their own style and have the courage to get away from the American progressive and thrash sounds and European power metal sounds. If they ever succeed to do so, they might become the leaders of a wave of African metal in the world, maybe with the help of their colleagues from Arkan who are living in France but mostly come from Maghreb countries or even Threatening from Ouganda which would be really interesting. Anyway, give this album a couple of spins if you like well made diversified progressive metal. Meanwhile, I will check out the band's next two records pretty soon. Originally published on www.metal-archives.com on September 28th of the year 2011.